I am a full time artist working out of my studio in Chattanooga, Tennessee. The name of my business, Twenty Two West, comes from a place that inspires me- the home I grew up in in Greenville, South Carolina. My goal with my work is to use traditional crafts combined in new ways. 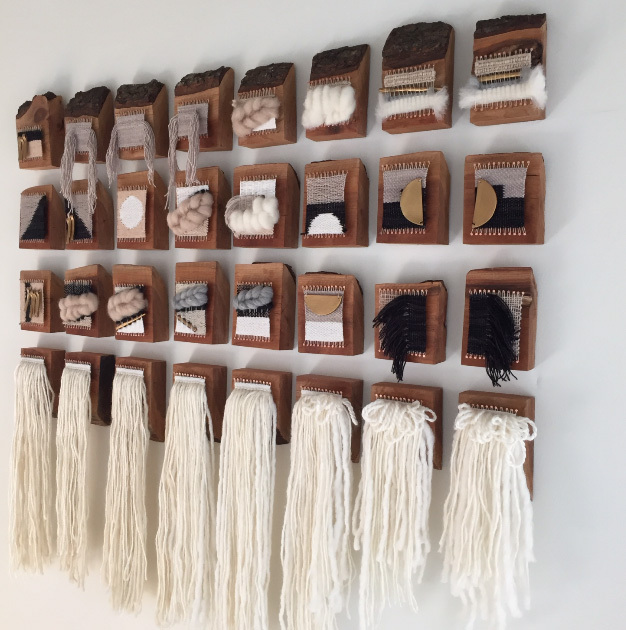 I use the classic techniques of weaving, ceramics, and woodworking to build approachable sculptures that suit the modern home as well as wearable art. My interior design background pointed my aesthetic toward character driven art that has a clear focus and an emphasis on texture. My art has been a way to connect with other crafts people for sourcing handspun, naturally dyed fibers, sustainably sourced wood, and community driven ceramics. My passion is to connect people with beautiful and attainable art.